If you’re using a conventional over-the-counter mouthwash on a regular basis, you could be raising your risk of diabetes – or so research suggests. Consider, for instance, the 2017 study in the journal Nitric Oxide. For it, researchers tracked health data from 1206 overweight or obese adults who were also free of diabetes and major cardiovascular disease. More than half used mouthwash either once or twice a day. Overall, about 17% of study participants developed diabetes or prediabetes. Among those who used mouthwash twice a day, that number jumped to 30%. The rate was higher, too, among those who rinsed once a day, with 20% developing either condition. This association was found to be independent of other risk factors for diabetes. But why should this be so? Just like your gut, your mouth contains a vast array of bacteria, some helpful, some harmful. If you’ve ever taken an antibiotic, you may know that it kills all bacterial, including the good stuff. 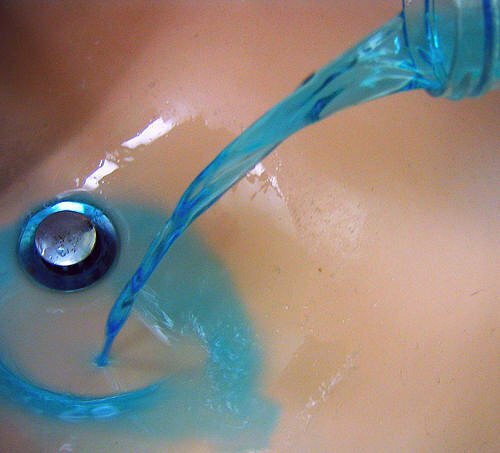 Your average over-the-counter mouthwash is like an antibiotic, killing the good guys along with the bad. [Lead author] Kaumudi Joshipura, professor of epidemiology at Harvard School of Public Health, said: “Most of these antibacterial ingredients in mouthwash are not selective. This includes microbes that are involved in the production of nitric oxide, which reduces insulin resistance. It also helps regulate blood pressure and metabolism. It’s important to note, though, that this study doesn’t say that regular use of conventional rinses actually causes diabetes – only that there’s an association between the two. Nor does occasional use of such products seem to pose any hazard. Still, with all the alternative options available, there’s no reason you’re stuck with regular mouthwash (which may cause other problems beyond upsetting the balance of bacteria in your mouth). Though mouthwash isn’t a necessity for oral hygiene, there are natural options out there that may be better choices. While such rinses may contain antimicrobial botanicals that can impact helpful and harmful bacteria alike, they also are free of many problem ingredients that are typically present in conventional products – alcohol and artificial colors and flavors, for instance. Natural rinses may also contain anti-inflammatory compounds and other plant extracts that support healthy oral tissues. Additionally, we’re starting to see more probiotic rinses come onto the market to help encourage the proliferation of helpful bacteria. Using probiotics in your oral hygiene routine can be an excellent way of maintaining a health oral microbiome. Another option is to make your own rinse. There are plenty of recipes out there, such as this one made from distilled water, tea tree oil, peppermint oil, and baking soda; or this one, which includes clove, cinnamon, orange, and ginger. One caveat, though: If you’re going to make your own, be sure you read up on using essential oils safely. Yet another option: oil pulling with coconut oil. Swishing a small amount of it around your mouth for 15 minutes or so each morning is safe and effective for keeping harmful bacteria in check. If you’re not familiar with this ancient Ayurvedic practice, you can learn more about it – and how to do it – here. Even better, use a tongue scraper beforehand to remove bacterial buildup from your tongue. It may be even more effective than using your toothbrush for the same task.